are hosting a Farrier get together. We would like this to develop into a regular gathering, driven by the input from the farriers involved. 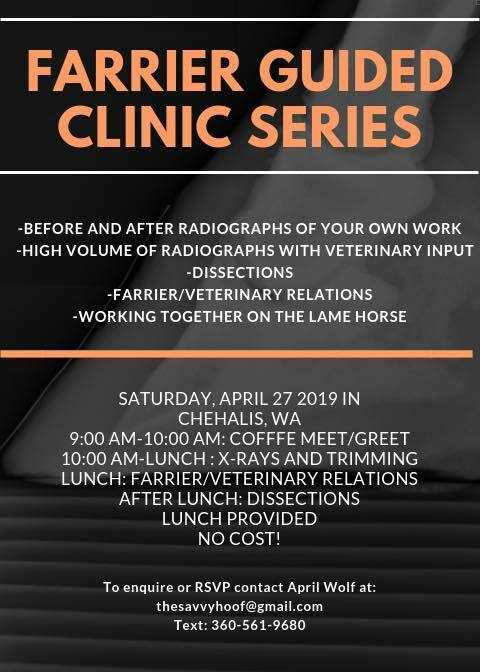 Dr. Clark is generously donating his time to assist with this event and to support other events in order to bring a valuable learning opportunity to our our farrier community. The first get together is scheduled April 27 in Chehalis, WA. In the future we would like to include live horses, lameness evaluations with the veterinarian, and provide activities suited to the interests of the group.